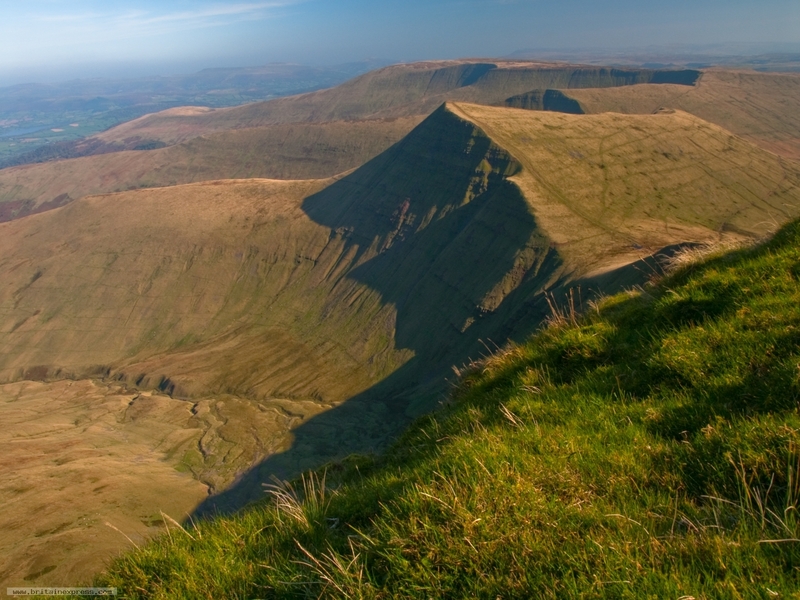 Pen y Fan is probably the most visited destination in the Brecon Beacons. Part of the popularity has to do with the fact that the walk to the summit is easily accessible from the A470 south west of Brecon. Also, the ascent is not difficult, and the path to the summit is easy to follow. As I recall it took us about 90 minutes, with a 7 year-old. The views across the Beacons and beyond are utterly spectacular. I really liked this view, taken from the summit, looking roughly east along the ridge. Handheld, because I didn't fancy lugging my heavy tripod all the way to the top!